Dr. Antonio Vantaggiato studied Electronic Engineering and Computer Science at the University of Rome “La Sapienza” where he specialized in Artificial Intelligence in Education. 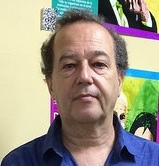 He is Professor of Computer Science at the Universidad del Sagrado Corazón in San Juan, Puerto Rico, and past President of the Puerto Rican Association for Distance Learning (2007-2009). In 1992 he founded the first Artificial Intelligence lab in Puerto Rico with Johnson & Johnson’s sponsorship. In 2000 he founded and directed the Distance Learning Institute until 2005, creating a Web-based education culture on campus which produced quality on-line courses and pioneered the adoption of Moodle, the Open Source Learning Management System, in Puerto Rico. A longtime collaborator of HETS from its inception, he has been offering various workshops and courses online. Dr. Vantaggiato founded and directed (2009-2016) the successful STEMmED project (stemmed.sagrado.edu) which has built an infrastructure to help students pursue the study of science and thereby contributing to a renaissance of science culture at USC. He organized symposia and congresses and the first University TEDx in Puerto Rico, TEDxUSagradoCorazón, yearly 2013 through 2015. Dr. Vantaggiato maintains his digital id at http://antoniovantaggiato.net and his blog, Skate of the Web, at http://skateofweb.com. He founded and directs the company netedu.info, which specializes in Web-based, open educational services.